If you unwrap a drone this Christmas, before you take it out for its maiden flight you must first register the aircraft with the government. Starting on December 21, individuals who own a drone—more accurately called an unmanned aircraft system (UAS)—will be required to pay to register the aircraft with the Federal Aviation Administration (FAA). The FAA managed to get this requirement in place just weeks before hundreds of thousands of Americans are expected to receive drones as Christmas gifts—with some estimates as high as a million drones to be sold this holiday season. According to the FAA’s website, the statutory requirement directs owners to register drones and pay a $5 registration fee (which will be fully reimbursed if they pay before January 20, 2016). Those who do not comply with the FAA’s requirement are threatened with civil penalties of up to $27,500 and criminal penalties of up to $250,000 and/or imprisonment for up to three years. Those who currently own UASs must register before February 19, 2016. All owners are also required to renew their registration every three years and pay a $5 renewal fee. Owners may register through online at:www.faa.gov/uas/registration. For many who own and operate UASs, this registration requirement is just one step in a long awaited and often frustrating process anticipating the FAA’s actions. “The FAA has had decades to create these policies and ask Congress to work on UAS laws,” said Dr. Hans Mumm, a faculty member at American Military University and the author of a recent book, Applying Complexity Leadership Theory to Drone Airspace Integration. “People are frustrated because they’ve been waiting a long time for the FAA to issue rules and regulations. But what does it take for them to act? It’s not until China announces that they’re sending a million drones to America for Christmas 2015 that the FAA finally says, ‘We have to figure this out,’” he said. Mumm became interested in UASs early in his U.S. Army career when the Army was experimenting with the Predator UAV. The Army started and owned the Predator UAV program, which was later turned over to the U.S. Airforce for continued development and fielding of the capability. Based on his long-term experience with drone development, what does he think about requiring operators to register their aircraft? “It’s not the worst idea in the world, but the FAA is a good 10 years behind in the conversation about how to regulate drones,” he said. Regulating drones is far more complicated than requiring people to pay $5 and write a unique registration number on their devices. The FAA must tackle the complicated issues surrounding these devices because the public is very confused—and often upset—about the proliferation of drones. While registering devices may be a first step towards regulating these devices, this doesn’t begin to address the issues of where and how drones can be operated, nor who’s going to enforce legal drone operation. 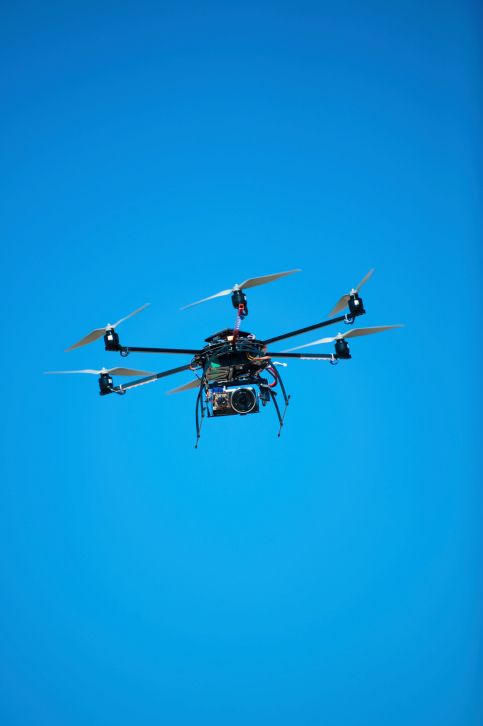 The majority of issues involving drones center around safety and privacy concerns. The aviation industry is extremely concerned about drones interfering and colliding with commercial aircraft, with reports of more than 100 sightings and close calls in recent months. Similarly, drones have disrupted and even temporarily halted wildfire firefighting efforts by forcing agencies to ground air tankers for fear of collisions with unmanned aircraft flying illegally in restricted airspace above fires. The lack of laws and regulations has led to citizens taking their own action. A man in Kentucky and a man in New Jersey were both arrested and charged with criminal mischief after shooting down civilian drones flying over their houses. These drones were equipped with recording devices, but operators claim they weren’t intentionally invading anyone’s privacy. 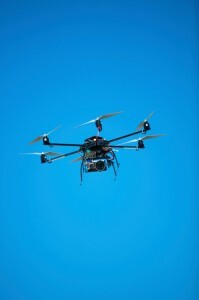 Individuals who feel threatened by hovering drones do not have many legal avenues for recourse. Residents who call police are often told that officers cannot do anything about it. While many recognize that the FAA is facing a complex and challenging task when it comes to regulating drones, experts like Mumm remain frustrated by the lack of proactive and beneficial discussions coming from the agency. Drones have existed for decades, but unfortunately it appears it will take hundreds of thousands of new drones swarming the skies to spur the FAA to begin to take action.